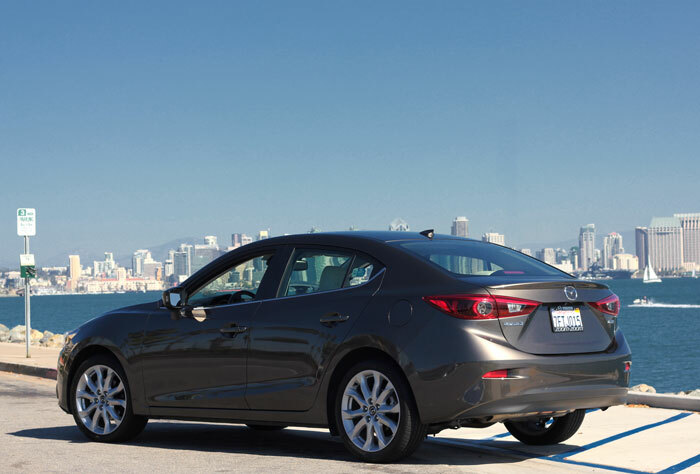 Zoom Zooming around San Diego in the Mazda 3! Some cars are made for hauling kids to soccer practice and other cars are meant to be fun while still being practical. The Mazda 3 four-door that I had a chance to check out falls squarely in that category - though to be fair, it does have a back seat and you could zoom your kids to school in it and be among the coolest parents in the drop-off line! Mazda probably isn't at the top of your list when it comes to being a "cool brand" and for me, the last time I experienced "Mazda" it was essentially producing rebadged Fords (and Ford wasn't what it is today). When I found when I slipped into the Mazda 3 was a spectacular car that was uniquely fitting the marketing message that Mazda has been putting out. 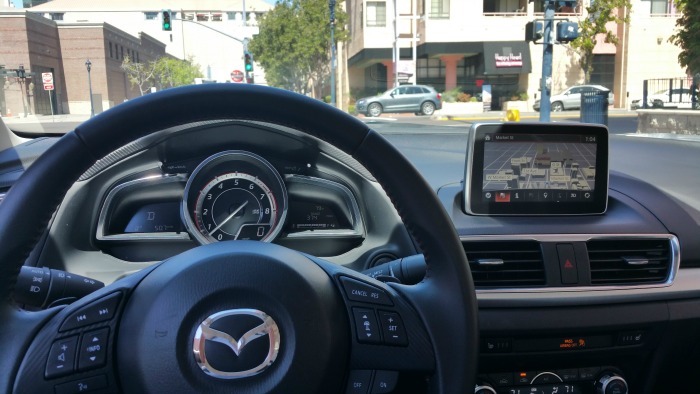 This is not the most powerful car out there, but the Mazda 3 fully delivers on the promise of "Zoom-Zoom" as I toured the beaches and downtown areas of San Diego. It was sporty, but approachable and affordable. It was even rated as one of Car and Driver's "10Best" in 2014 and after just a couple days testing it out I can completely understand why! What I didn't expect was the style and refinement that I found inside and out. Certainly, this is not a "luxury car" but it just looks cool. With subtle touches like the instrument cluster featuring a center aligned tachometer, a heads up display for speed, and a nav screen perched on the dashboard instead of smashed flat into it like so many other cars out there. That's not where the refinements stop though - I was super impressed by the simple elegance of maneuvering around the entertainment and navigation system using the rotary control with rocker switch instead of having a touch screen or cursor buttons. Mazda isn't the only one to use a rotary dial, but for some reason it just seemed extremely intuitive and quick to navigate through the system using it. Unfortunately, I only had a couple days to play with it before returning the car but something as simple as this helped to create a feeling that you were part of the car ... not just sitting in it. Inside, it has a very tight back seat that would be good for groceries and small kids but for the most part, this is a two person car. The Mazda engineers didn't ignore the exterior styling either. It has a friendly - almost smiling grill in front with an elongated nose that ALMOST makes you think of an Aston Martin. (It isn't, but it definitely draws inspiration from the look). Strangely, though, it's almost like they ran out of ideas on the rear as it generally looks like "any other family sedan" from the rear. That was true until I saw it at night and discovered that those little touches I loved so much were there too. 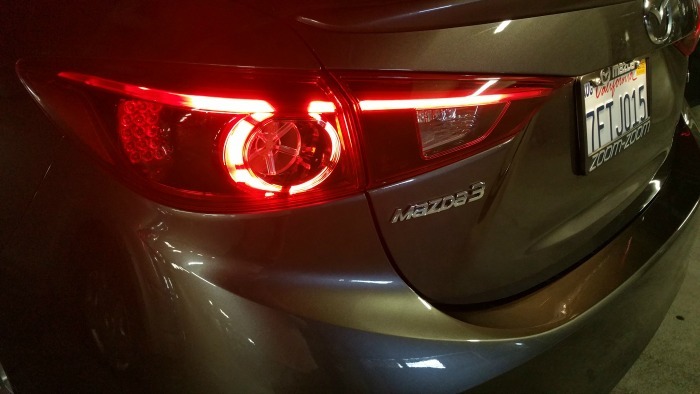 Check out how the rear light has that little extra flair that shows people that this is NOT just your average family sedan - this is a Mazda. Overall, I am SUPER IMPRESSED! This is a brand that I expected nothing from but now want to learn more about. It was extremely fun to drive, had excellent style, and it felt solid and well designed inside and out. 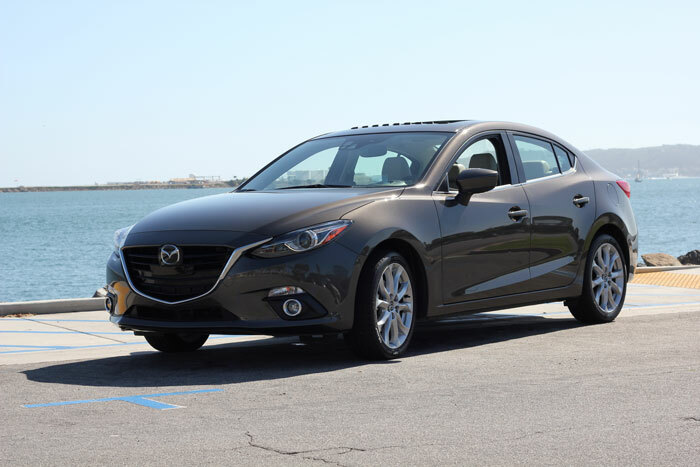 Even better is that the Mazda 3 is affordable too - starting at $16,945 for the i SV and going up to $25,045 for the s Grand Touring (that I was testing), this is a car that anyone can afford if they are looking for something fun to drive around town.